Having a criminal record can negatively impact your ability to obtain viable housing and employment. Most people assume that their criminal record will stay with them for their entire life. However, the reality is something different. The State of California provides a criminal record expungement process so that certain eligible individuals can move on with their lives, while no longer having to live with the social stigma that comes with having a conviction on their criminal record. 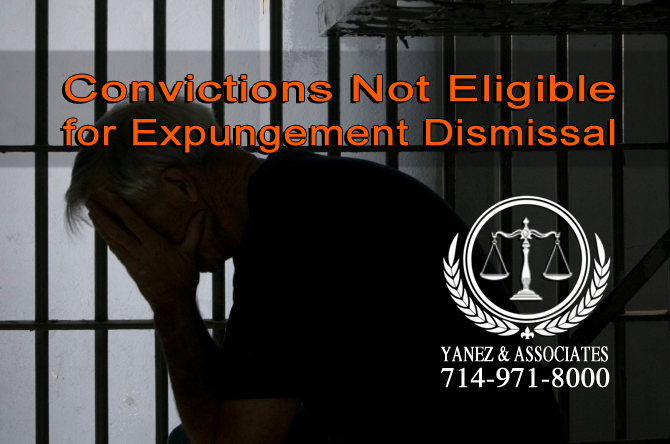 Your eligibility for expungement depends on whether you were convicted of an infraction, misdemeanor or felony. 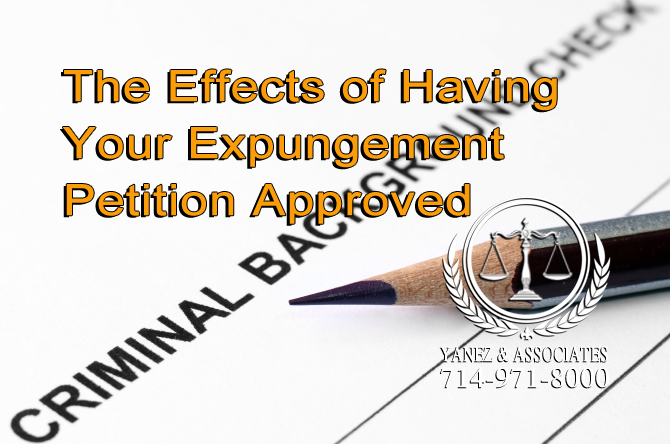 Your ability to obtain expungement may be dependent on whether you fulfilled all of the terms of sentencing, which could include probation, jail time and the payment of all fines, reimbursements and restitution. Furthermore, the location where you were arrested and convicted can also affect which expungement options you can access. 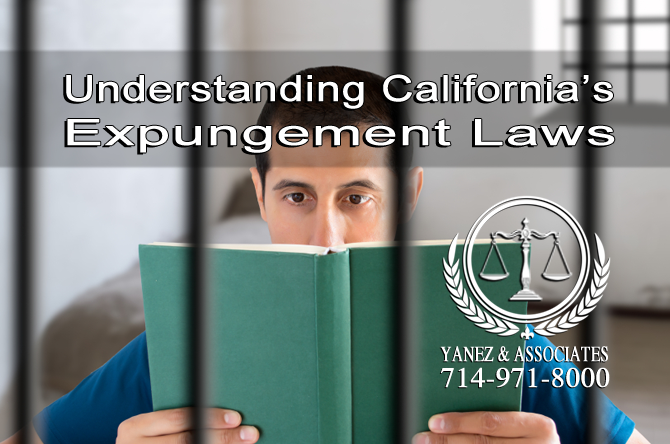 What is Expungement in California? 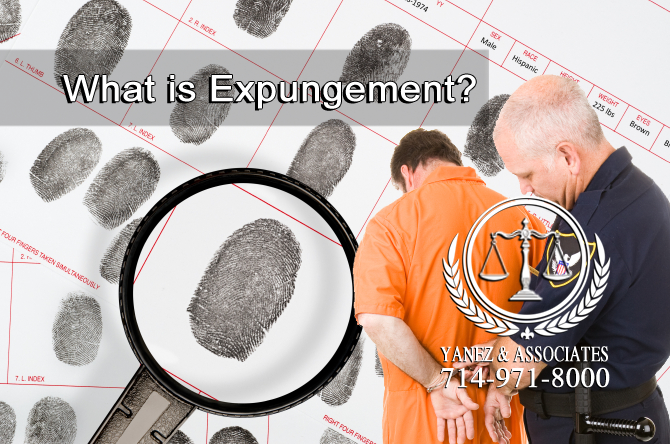 To “expunge” is defined as the act of erasing or blotting out. Essentially, an expungement in legal terms is the official process of dismissing a previously entered criminal conviction. The use of the term “expungement” can be somewhat misleading. This is because the process does not completely “erase”, or “blot out” your pre-existing criminal record. Instead the expungement process is used to dismiss certain specific convictions from your criminal history. Though court records will still reflect the original conviction, completion of the expungement process will result in an additional note being added to your criminal record that states that the original conviction was subsequently dismissed. The term “expungement” means different things based on the location where your conviction occurred. While in certain states expungement automatically results in the complete sealing and destroying of an applicable conviction record, here in California, the complete sealing and destroying of criminal records is extremely rare and will be based on the specific circumstances of your past convictions and arrests. Your ability to have a conviction expunged from your criminal record depends on the specific laws that govern your criminal conviction(s). As a result, the expungement process typically requires assistance from a trained and licensed California expungement attorney. This is because depending on the laws in play you may be eligible for a conviction dismissal, a conviction reduction or maybe even a pardon. Here in California, Penal Code sections 1203.4 and 1203.4(a) are the primary laws that govern the criminal conviction dismissal process. While section 1203.4(a) governs convictions where probation was not granted, section 1203.4 governs convictions where probation was granted. In order to request that the California courts to expunge your infraction, misdemeanor or felony, a Petition for Dismissal must be submitted under section 1203.4 or section 1203.4(a). You will not be eligible for a conviction dismissal if you were sentenced under the Department of Corrections and Rehabilitation’s authority, or were sentenced to serve time in a California state prison. Furthermore, when it comes to conviction dismissal there are circumstances where you are automatically eligible for a dismissal, while in other circumstances it is completely in the court’s discretion to approve or deny your Petition for Dismissal. • You have not been charged with another offense following the conviction you are petitioning for dismissal. • Since the time of your conviction you have lived an upright and honest life, while obeying the law. • You did not fulfill all of the requirements of your probation sentence. • Have paid all of the restitution, fines and reimbursements that the court ordered you to pay as part of your conviction sentence. • A felony conviction for sexual misconduct with a minor ie. a person under the age of 18. The State of California has a relatively simple expungement process in place. However, given the complexity of the different laws and regulations involved, legal assistance from a trained and license California expungement attorney will make this process easier to complete then if you attempted to submit an expungement petition on your own. Your first step is to locate your complete criminal record. Doing so will allow you to understand what offenses are on your record in order to determine which specific convictions can be expunged. Collect and review any official legal documents that you received at the time of your arrest and conviction. If these original documents are not available, you can obtain your criminal record from a California County Superior Court office, or the California State Department of Justice, Criminal Record Review Unit. • Any other relevant sentencing documents related to your conviction. Your third step will be to determine whether you are eligible to have your conviction dismissed. As previously noted you are only eligible for expungement if your were convicted of a misdemeanor, infraction or felony that did not result in a state prison sentence, and was not the result of a sentence granted under the authority of California’s Department of Corrections and Rehabilitation. You may be eligible for expungement even if as a result of your conviction you were sentenced to probation, a fine, county jail time, or a combination of all of these three punishments. Your fourth and final step, after collecting all relevant conviction documents and determining your eligibility for conviction dismissal, is to file your Penal Code Section 1203.4 or 1203.4(a) Petition for Dismissal. In order to complete your Petition for Dismissal you will need to include detailed information from your conviction documents. When submitting your Petition for Dismissal you have to make sure to provide as much information as possible in order to convince the court that dismissal of your previous conviction is in the best interests of justice. When filling a 1203.4 petition you must pay a $120 filing fee, while you must pay a $60 filing fee for Section 1203.4(a) petitions. Want to Have Your Criminal Arrest or Juvenile Record Sealed and Destroyed in OC California? While criminal convictions cannot be completely erased from your record, certain criminal arrests records can be sealed and destroyed in specific situations. For example, after your 18th birthday you can file a petition with the California courts to have your juvenile criminal record sealed. This sealing means that no person can view or gain access to your juvenile record. Furthermore, five years following the sealing date, your juvenile record will be completely destroyed, and it will be as if it never existed. You can also petition the California courts to seal and destroy certain criminal arrests that resulted in charges being filed. However, this avenue for relief is only available if the action against you was ultimately dismissed, and you were determined by a court to be factually innocent of the crimes you were accused of committing. It is important to note that a few very specific convictions and criminal activities are automatically deleted from your criminal record after a certain period of time has passed. Convictions for possession of marijuana for personal use are automatically erased from a criminal record after two years from the time of conviction has passed. However, all other marijuana possession convictions are not granted this automatic expungement. Similarly, if you were referred to a “diversion” program ie. an alternative to traditional criminal prosecution, an automatic dismissal will be granted if you successfully completed and fulfilled all of the diversion program’s requirements. Given the specificity of the above circumstances, it is important to consult with a legal professional to determine whether or not your criminal activities are subject to an automatic expungement. All is not lost simply because your conviction was not completely erased from your record. 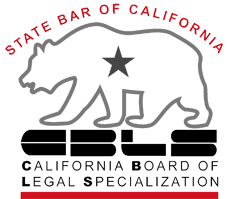 In fact the California Labor Code prohibits employers for asking information about any detention or arrest that did not result in a conviction. Thus, having your conviction dismissed means that you will not have to provide employer’s with information about the conviction because it was dismissed. However, even if you successfully obtain an expungement you may be required to provide certain information about your dismissed conviction. In fact, when applying for government licenses or government employment you must respond “yes-conviction dismissed” to all questions regarding whether you have been convicted of a crime. Don’t fret if you are ineligible for dismissal under sections 1203.4 or 1203.4(a). You may be eligible to receive a Certificate of Rehabilitation and Pardon if you were either sentenced to serve time in a California state prison, or if you were sentenced under the authority of California’s Department of Corrections and Rehabilitation. Though a Certificate of Rehabilitation will not remove your convictions from your criminal record, it will restore certain political and civil rights of citizenship. This petition must be filed at the California Superior Court of your residency, and approval typically requires assistance from a licensed attorney given the complex legal processes at play. 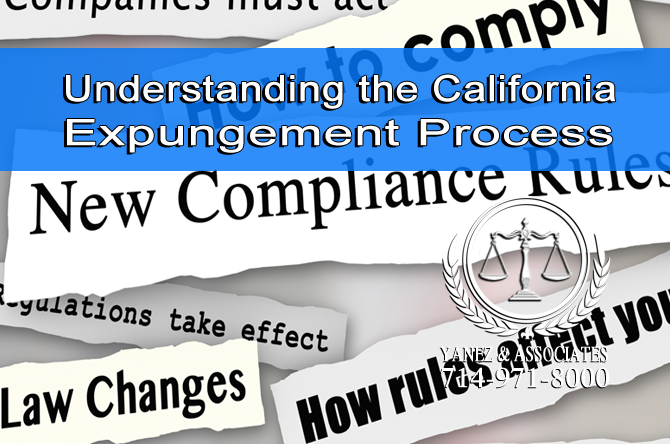 Navigating California’s expungement process on your own can be stressful and time consuming. In addition to having to determine whether your conviction is eligible for some form of expungement, you may also need to craft a detailed Petition for Dismissal to be submitted to the California courts. This requires an in-depth understanding of an assortment of complex state and local laws. Luckily, our criminal record expungement attorneys in Orange County, California have the legal skills and acumen required to submit and defend your Petition for Dismissal. 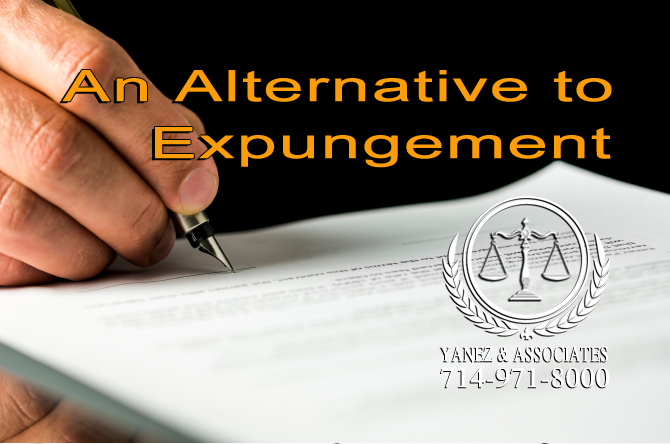 Give us a call today to discuss all of the legal services and solutions that that Yanez & Associates can provide in your criminal record expungement case.